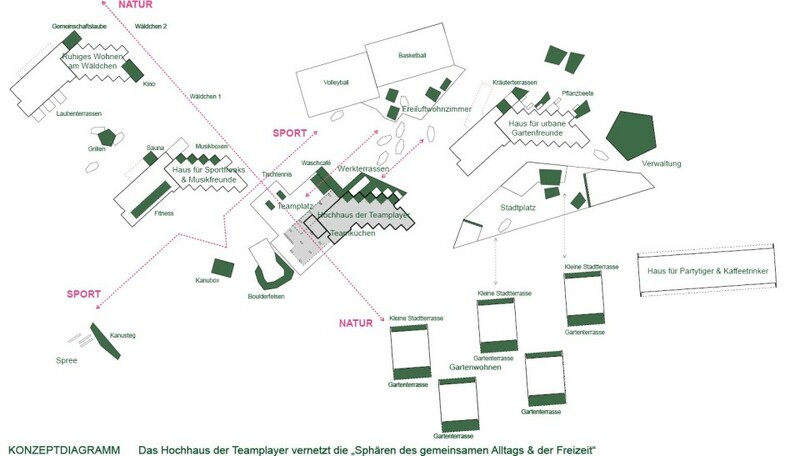 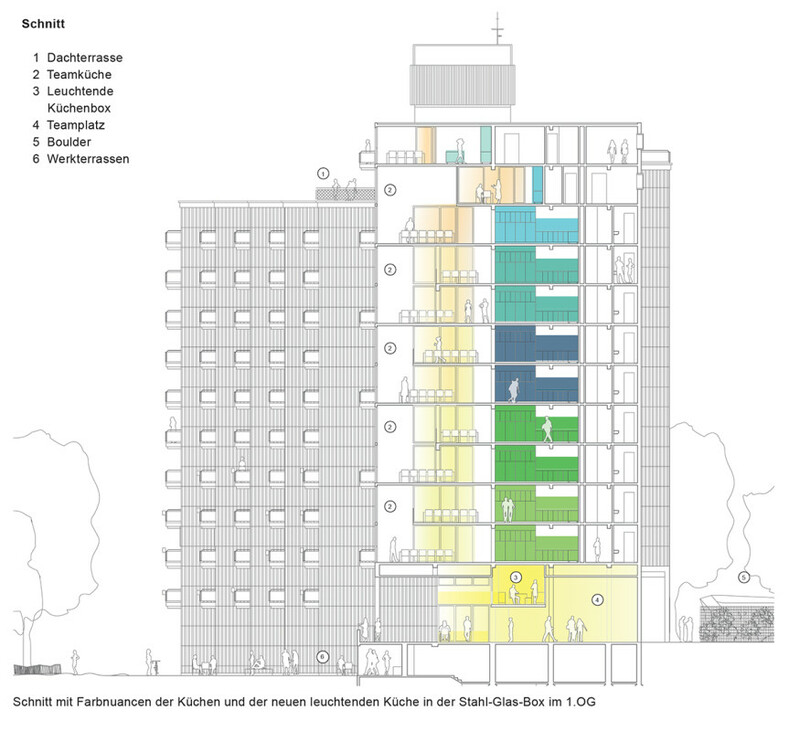 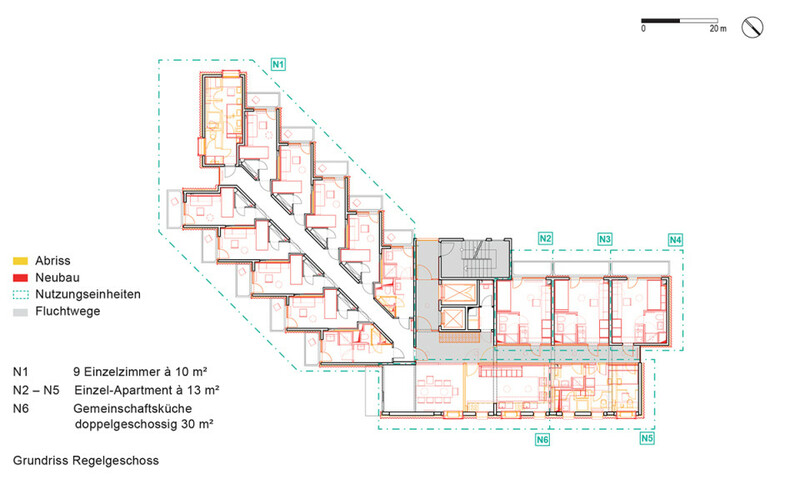 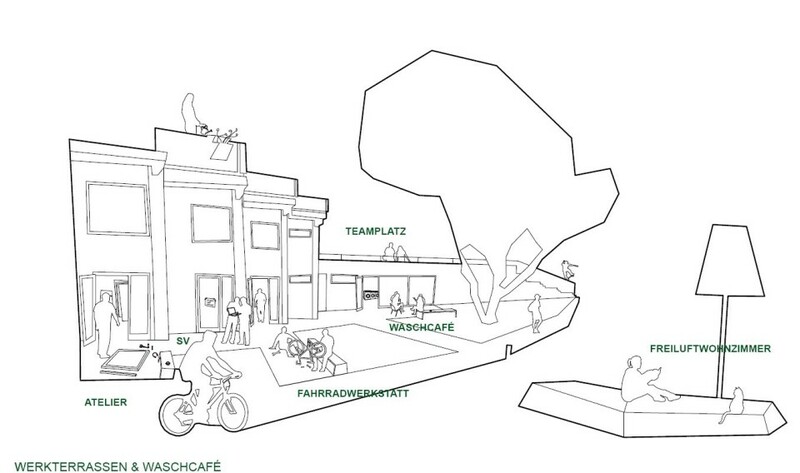 In the fifth construction-phase of the Masterplan for the Student Residence Siegmunds Hof, House 12 with ca. 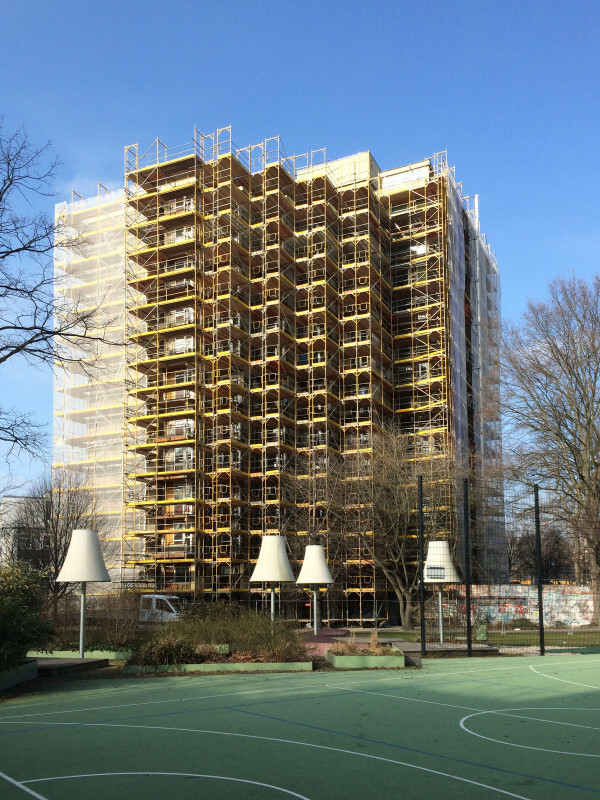 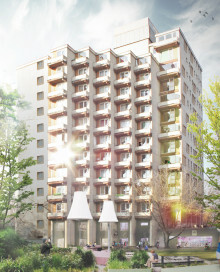 130 dwellings will be energetically renovated and modernised. 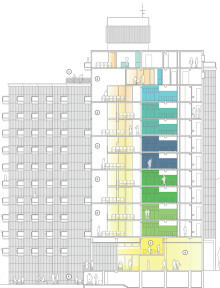 An extensive participatory process forms the basis of the redesign. 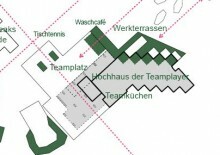 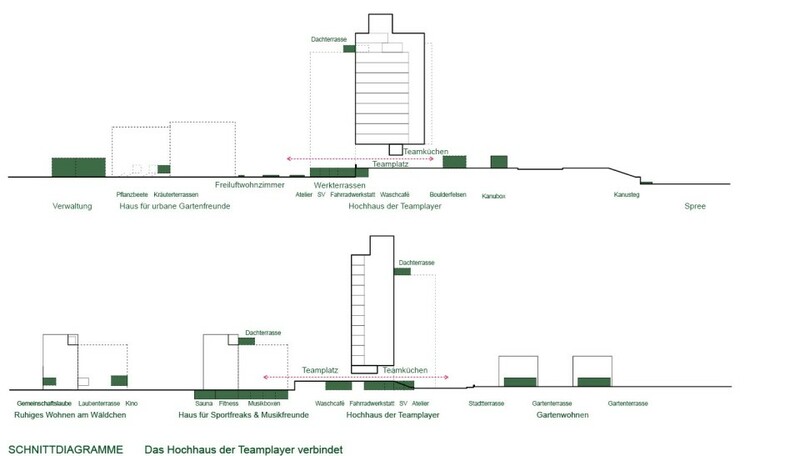 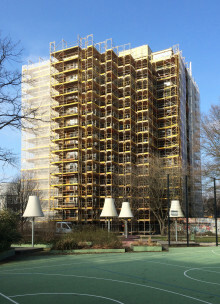 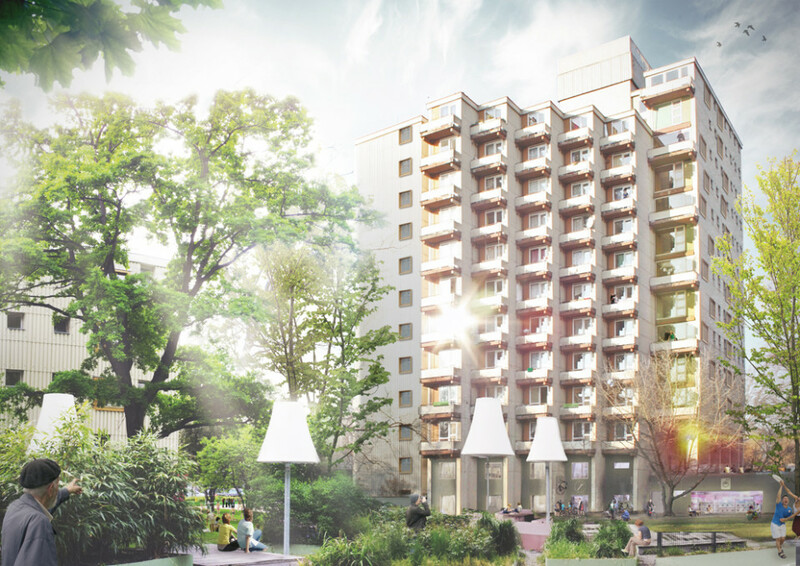 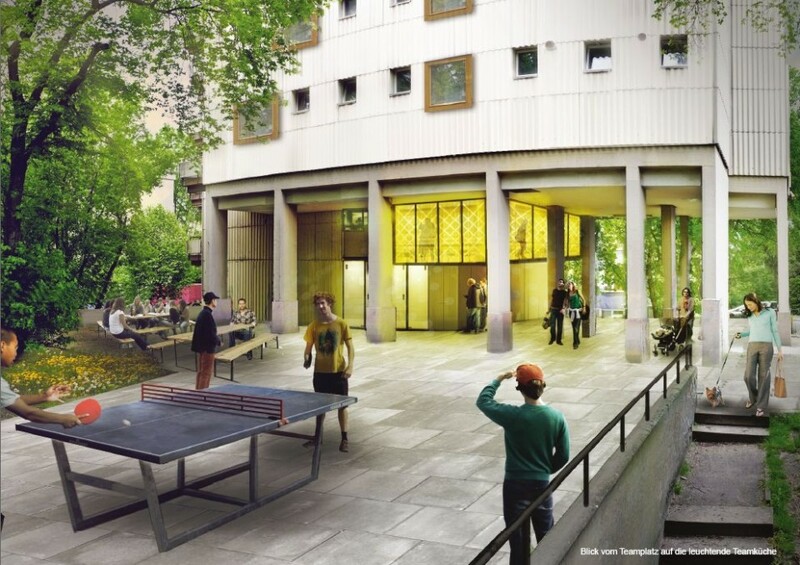 In its central position, the “Team Players’ High-rise“ connects the three- to four-story housing blocks with the pavilions on the other side of the street, and the outdoor living room with the Spree River. 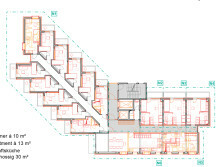 On the first floor, the glowing kitchen box appears to levitate above the ground floor, illuminates it, and creates an inviting area out of the previously inhospitable one. 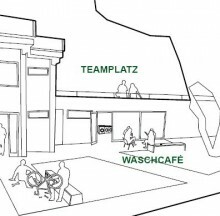 Small studios, a bicycle workshop, and a laundry café in the basement open out toward the terraces and benches in the outdoor living room. 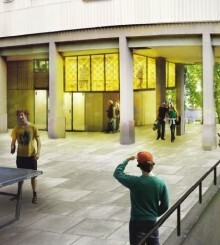 This creates a new space of interaction between everyday life and leisure.